DNA geek here. 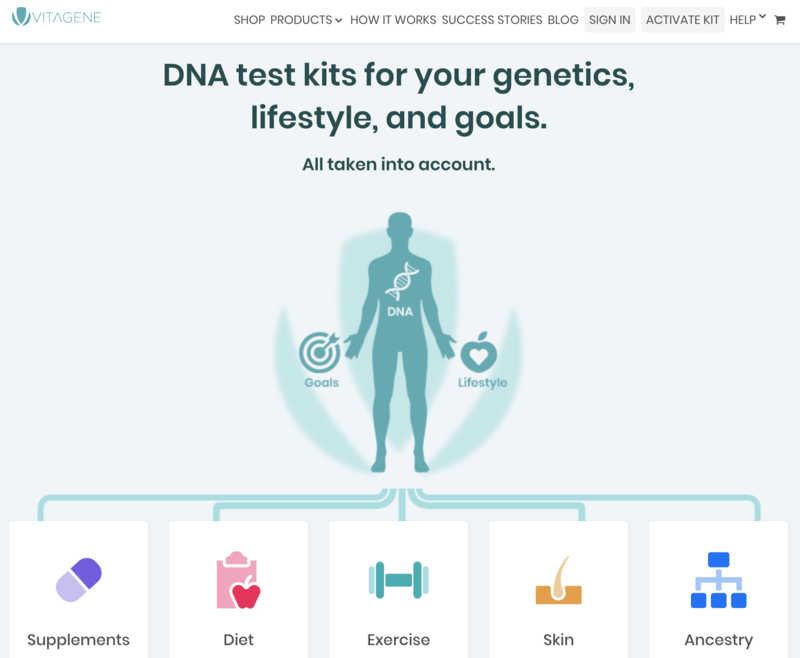 In my last post, I talked about the many uses for your raw DNA data that you got through testing with 23andMe, AncestryDNA, MyHeritage and other DNA testing companies. Those use cases include genetic insights for fitness, romance, personalized goods, medical risks, etc. In this 2nd post, I’m focusing on genealogy, family research and ancestry applications for your raw DNA data. 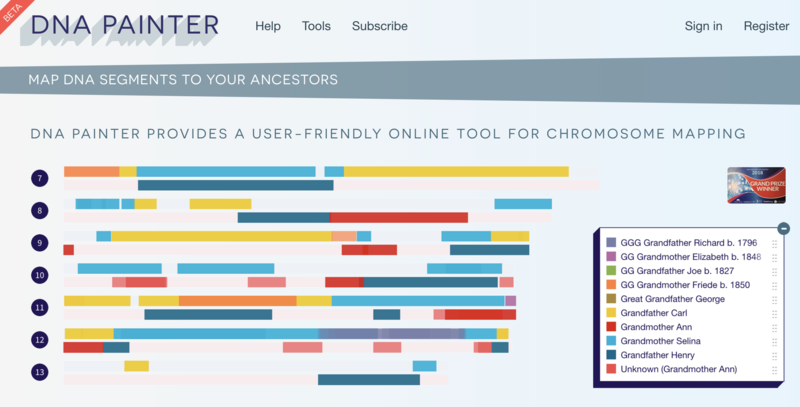 So if tracing your lineage and building family trees is a hobby you’re looking to get into, read on for a list of websites and resources that will help bring you closer to the lives of your ancestors! I’ve separated the post into websites/services that accepts uploads of your DNA raw data, and those that don’t. Personally, I prefer the ones that do, since who wants to pay for another test and wait a couple of weeks to see the results? Their myOrigins feature is similar to the ethnic and geographic breakdown you can get on AncestryDNA and 23andMe. The “accuracy” depend on the reference populations that their analysis draws on — it may be more “accurate” for people with certain ethnic roots over others. What’s really interesting is their AncientOrigins feature, a latest addition to their Family Finder. It allows you to compare your DNA to DNA dug up from archeological sites throughout Europe. With this, you can see how much DNA you share with humans who lived long ago! If you have your family tree created or uploaded to FTDNA, the Family Matcher feature, besides locating DNA matches, also labels them as paternal or maternal for you so you can view, sort and compare the matches with more clarity. I love that concept. Think of all the fragmented family trees existing in isolated accounts on AncestryDNA, FTDNA and other family tree websites. If they could all be combined and linked up into one tree, wouldn’t that simple visual of a connected species breed more solidarity and empathy among all humans? Of course, privacy / data security is an issue here, but don’t worry. WikiTree has 7 levels of privacy settings, from “unlisted” to “public,” allowing you full control of what and how much you share with anyone on the platform. This is a completely grassroots effort from genealogists. 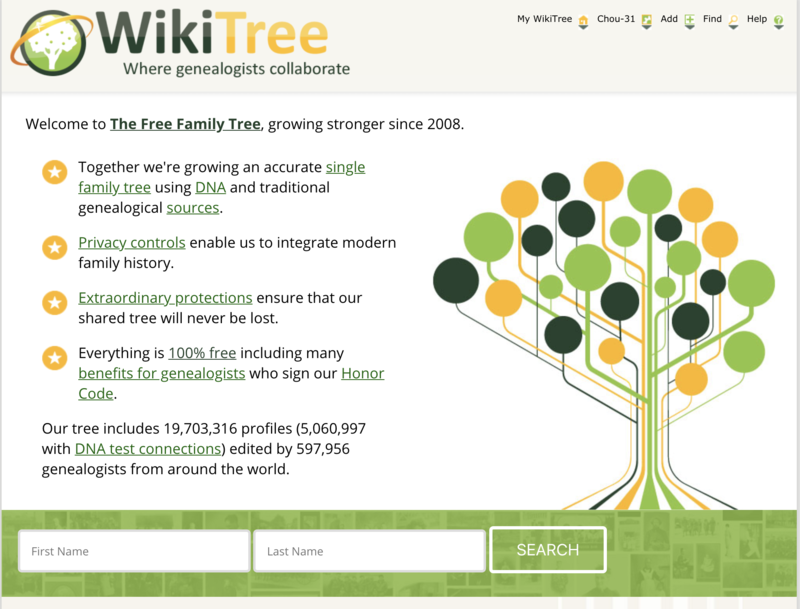 WikiTree regularly hosts challenges that engage genealogists to clean up the existing tree data. Chromosome Mapping — Paint your DNA with distinct colors that represent the parts of your chromosomes you share with distinct family members. For example, in the image above, “yellow” represents the DNA stretches you share with Grandfather Carl. The method to get the data into DNA Painter is different for each company, so check the instructions for the company you did your DNA test with here. Has its own DNA test: Yes. $79-$169. This is mainly for people who only got a DNA test for ancestry purposes. 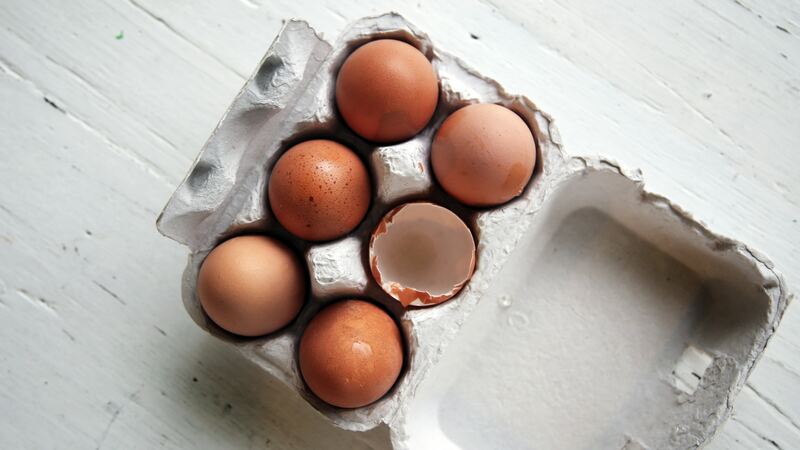 By transferring your autosomal raw DNA data to Vitagene for $29, you’ll get a health report and personal action plan for your diet, supplementation, skin and fitness. Besides the report, you could also order pharma-grade quality supplements they recommend in the report through them. Has its own DNA test: Yes. $199. Their tagline, “Pinpoint your Ancestry,” addresses the root desire of amateur and pro genealogists alike. Unlike other genetic testing services that give you broad geographic ranges, GPS Origins may be able to pinpoint your ancestry down to the town or village level. As this is a European-based service, the likelihood of getting a more granular result is highest if you’re from Western Europe. Besides precise geography, the test also identifies when and where different lineages merged to form different parts of your DNA, including stories of possible reasons of mixtures (war, famine, migration, etc.). 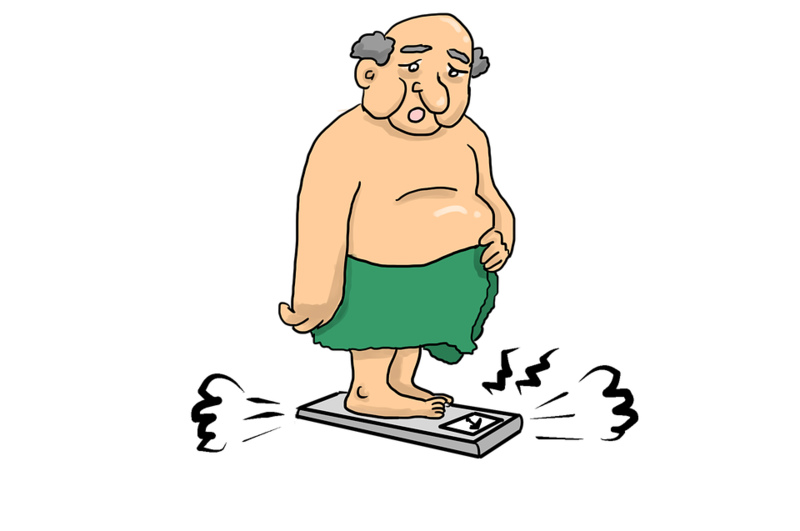 This analysis was developed by a leading population geneticist from the University of Sheffield in England. 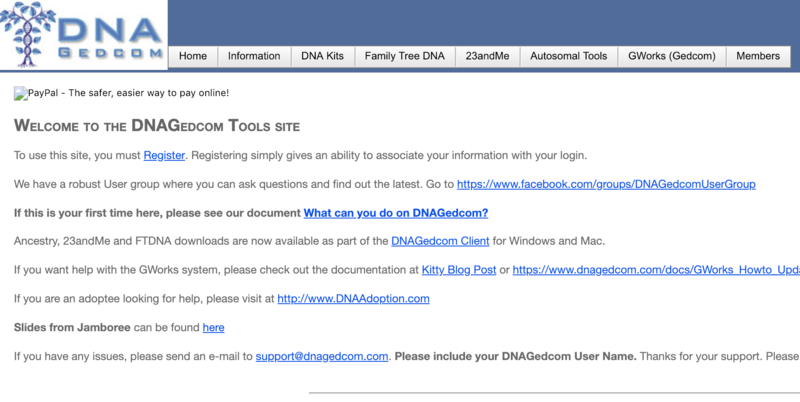 Use DNA Gedcom to work many tools on your match comparison results that you got from GEDmatch, Ancestry, 23andMe, etc. What’s free? The autosomal DNA segment analyzer function. You can compare the DNA segments shared between everyone you matched with, so you can get an idea of everyone’s relationship to each other. (This automated triangulation feature is now available on 23andMe.) Another main feature is the tree comparison, which you can do by paying a subscription fee to download the GWorks software to your computer. Accepts GEDcom data from: AncestryDNA, Family Tree DNA, 23andMe, etc. Has its own DNA test: Yes. $89. Find My Past has extensive British and Irish records, which makes for great resources when building your family tree. Even if you’re too busy to actively manage your tree, they recommend relatives based on “hints” from their records, based on the information you provide them. 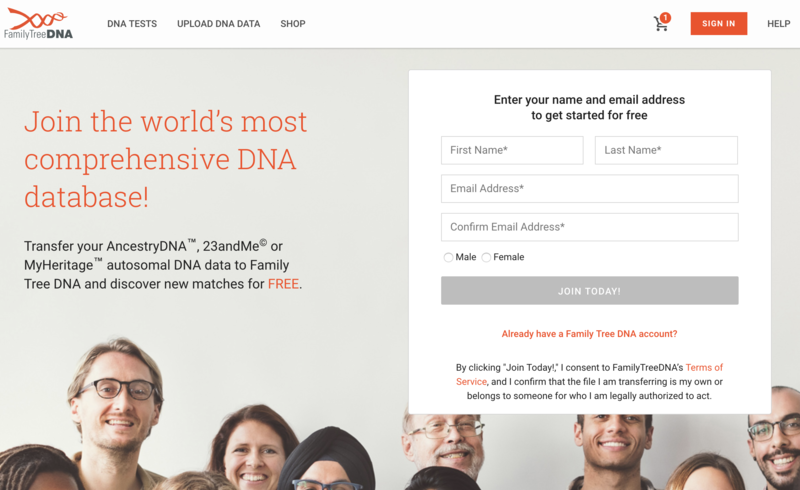 Accepts raw data from: AncestryDNA, Family Tree DNA, MyHeritage, 23andMe, etc. Has its own DNA test: No. The sheer number of people voluntarily uploading and storing their data on GEDmatch virtually guarantees that you’ll at least find some distant relative on the website. Matches’ emails are readily available on the website, so you can go ahead and contact them directly without having to communicate through the platform, as is the case for 23andMe matches, Ancestry matches, etc. 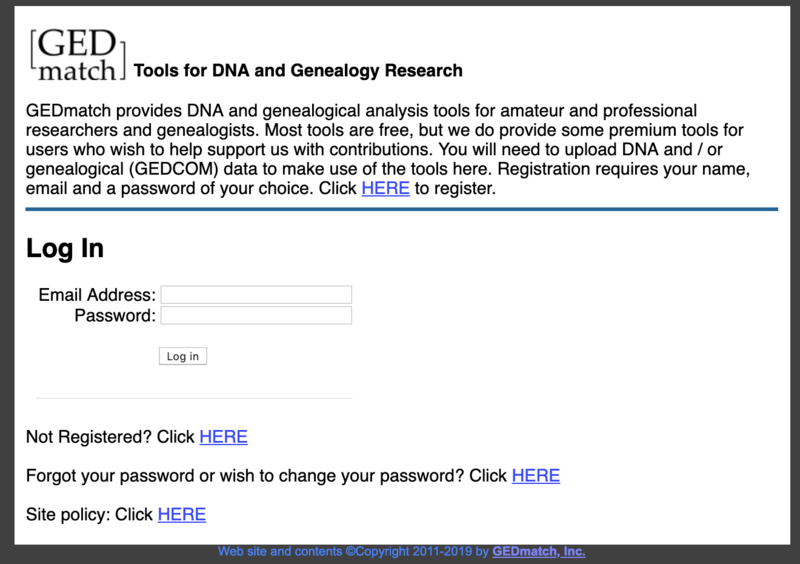 If you’ve never used GEDmatch, here are the 2 GEDmatch tools you should get started with. 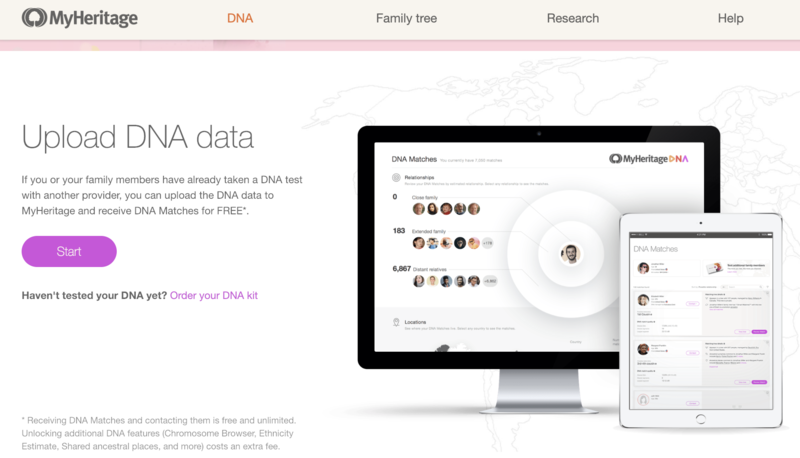 Accepts raw data from: AncestryDNA, Family Tree DNA, 23andMe, LivingDNA. Has its own DNA test: Yes. $59-$79. 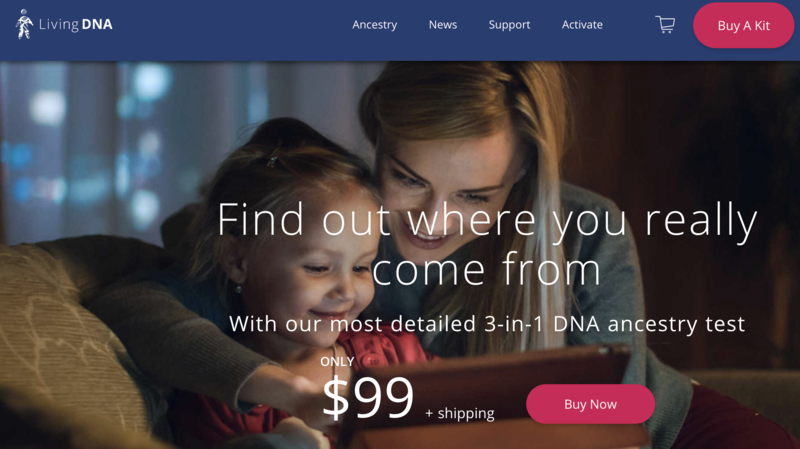 MyHeritage is one of the few DNA testing companies that accepts raw data uploads from other companies, so if you haven’t gotten any DNA matches on other sites yet, it won’t hurt to try looking on MyHeritage. Receiving DNA matches and communicating with them are free. However, other features like Chromosome Browser and Ethnicity Estimate comes at an extra cost. Geni, a MyHeritage company, is like the WikiTree of MyHeritage. Whereas MyHeritage focuses on private family trees and its historical records database, Geni is a place to build out 1 family tree for all of humanity and visualize how we’re all connected. 100+ million people connected on Geni to date…! You can upload your existing raw data or get tested through Geni to verify your DNA matches while growing your tree. If you’re British or of British descent, you’re in luck! Living DNA, a British testing company, has 21 sub-regional breakdowns within the British Isles alone. 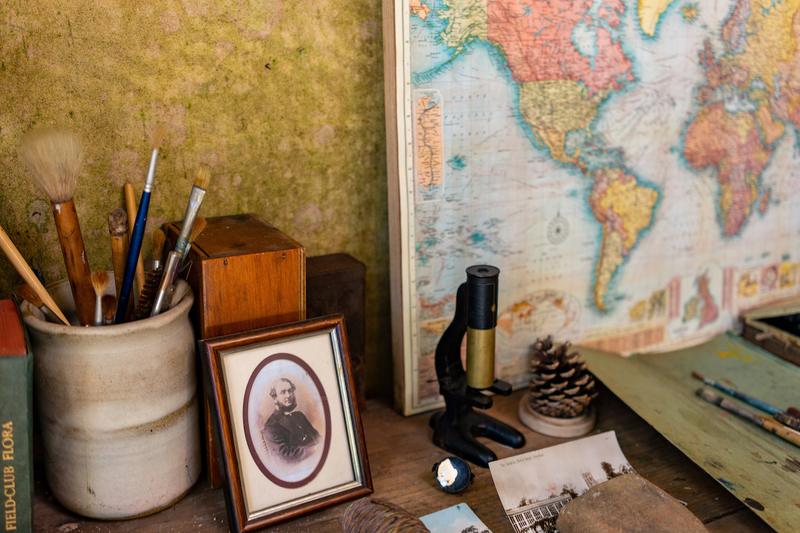 You’ll get a very granular idea of the geographic area your ancestors occupied. The Relative Finder feature is powerful — it can match you with relatives of up to 13 degrees of relatedness. At that point, you may share no DNA with them at all! 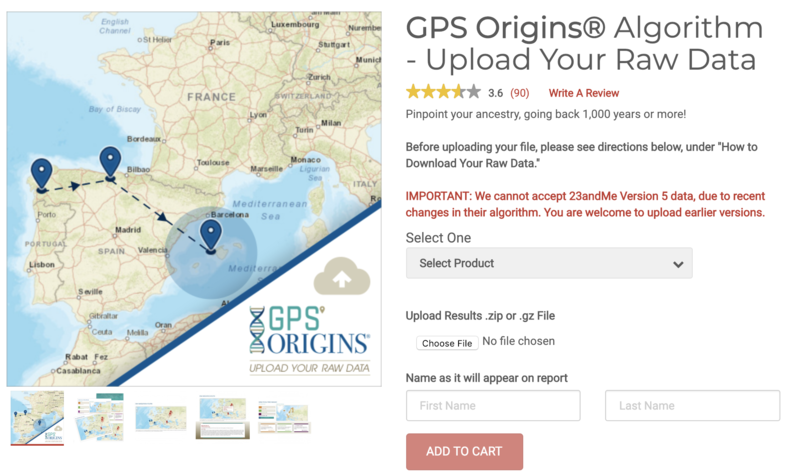 Similar to GPS Origins, LivingDNA will provide historical context for how your ancestors migrated at different points in history. 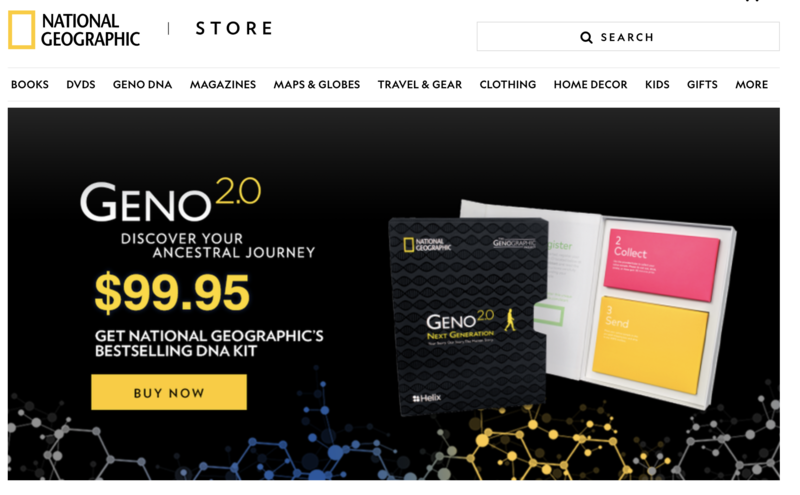 This section is for people who are skeptical of testing with one of the big-name companies and looking for a more niche offering, or for those who want a second opinion on their ancestry. In addition to the companies indicated as “Yes” for “Has its own DNA test”, the company below also provides its own DNA test. Fascinated by the history of our species? National Geographic’s DNA test helps you zoom out and understand the bigger picture of your history from 200,000 years ago to the present day. This is the best test to gain insight on how your ancestors populated the earth and migrated, on an anthropological, rather than a genealogical, scale. Highly recommended for natural scientists and genealogists who are not just interested in their recent family history. Bonus: see whether you’re related to any “geniuses” in the Genius Matches section.